Most gifts are given once, then that’s it. Even if we enjoy a gift, it eventually wears out. That amazing original iPhone you bought several years ago probably doesn’t feel so amazing anymore (does anyone even have an original iPhone anymore?). Rather than their utility (what they provide) decreasing over time, they give you greater rewards as time goes by. 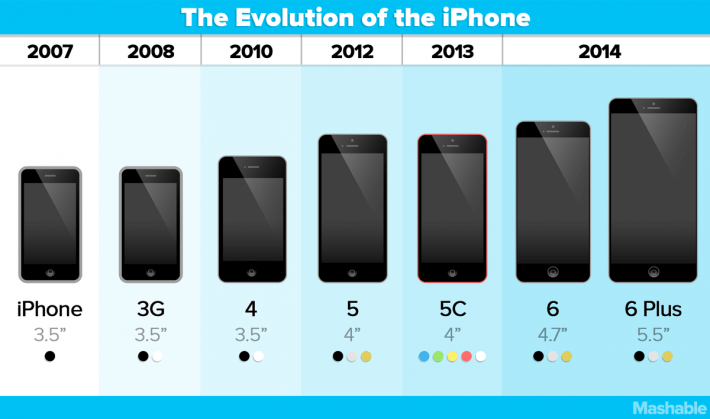 Your iPhone doesn’t – its utility depreciates over time as new and better versions are released. Many stocks pay more dividends every year. This means that the present you bought yourself (your dividend stock) is giving you more than the year before – every year. How many other gifts can do that? 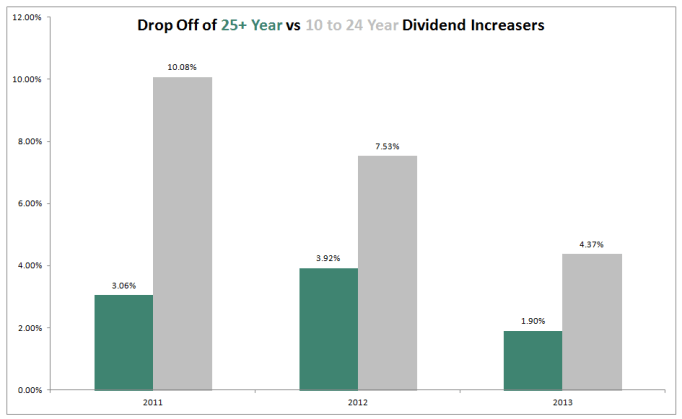 The Dividend Aristocrats Index is filled with ‘gifts that keep on giving’ stocks. To be a Dividend Aristocrat, a stock must have paid increasing dividend for 25 years in a row (and be a member of the S&P 500). Twenty five years is a long time. Interestingly, stocks with 25+ years of dividend increases have a much lower probability of freezing or decreasing their dividends than stocks with 10 to 24 years of consecutive dividend increases. Does something magical happen when a stock goes from 24 years of consecutive dividend increases to 25 years? What I believe the study is picking up on is that dividend history matters. The longer a dividend streak, the more evidence you have of a long-lasting, durable competitive advantage. If a company has paid increasing dividends for say 40 years (as an example), what CEO wants to be the one to break the streak? That’s not a good legacy to have. What happens if you give yourself gifts that keep giving you more gifts? Eventually, your gifts will be buying you gifts. I call this virtuous cycle the ‘snowball effect’. What is the snowball effect? “It is an analogy to get a practical feel for the wonders of compounding. Imagine your investment account as a small snowball at the top of a hill. You give the snowball a little push (add money to your investment account). As the snowball rolls down hill, it grows larger and larger, packing on ever more snow. It is no coincidence that one of the best biographies on Warren Buffett is titled The Snowball. Warren Buffett is well aware of the powers of compound interest/dividends. 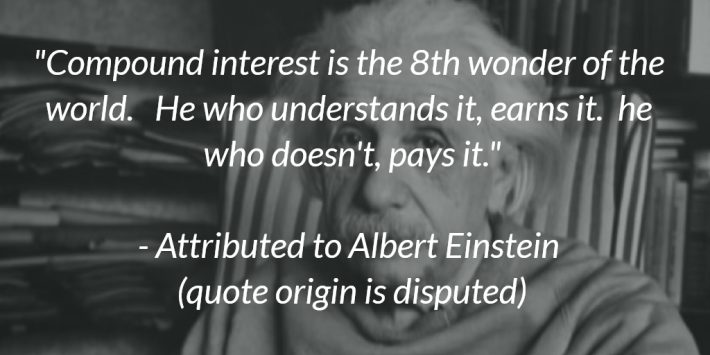 Apparently, so was Albert Einstein. Dividend growth stocks are the gift that keeps on giving. We spend so much of our time and money on assets and activities that don’t compound. What would happen if we invested more of our time, energy, and money into activities (and stocks) that did compound? For an investment to compound your wealth over a long period of time, it must have a strong and durable competitive advantage. If a business does not have a lasting competitive advantage, it is not a compounding machine. 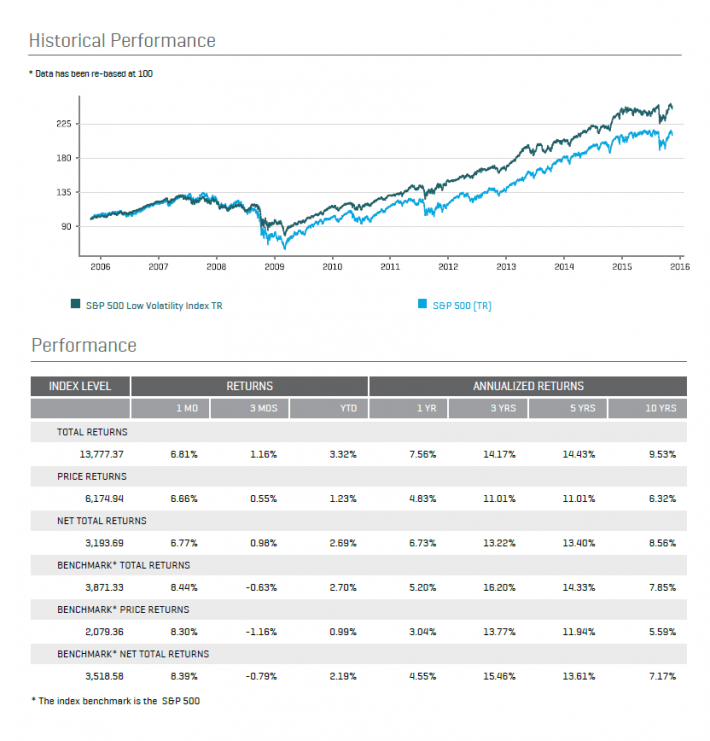 The Dividend Aristocrats Index (or better yet – the Dividend Kings) is filled with high quality businesses with strong and durable competitive advantages. It should be no surprise that the Dividend Aristocrats Index has soundlyoutperformed the market over the last decade. Saving for the future – investing – is your current self giving your future self a gift. Unlike at family holiday celebrations (we’ve all seen the ‘really?’ gifts), you have the choice of what you gift your future self. You can invest in mediocre businesses without competitive advantages. You can build a portfolio of high quality dividend growth stocks that are very likely to pay you rising dividend income year after year. My future self deserves the security that comes with owning a high quality dividend growth portfolio. I hope you feel your future (or current) self does as well.